Though 2012 has already seen its fair share of box office hits, one of the bigger surprises was the April comedy Think Like a Man. The film opened at number one at the box office with an impressive take of $33.6 million, ending the four-week run of The Hunger Games and besting new releases The Lucky One and Chimpanzee. The pic went on to make over $91 million during its run, and now Screen Gems has officially announced that they’re moving forward with a sequel. No story details are known, but Keith Merryman and David A. Newman will be returning to write the screenplay. The first film was based on the best selling book by Steve Harvey and featured an ensemble cast dealing with relationships. No release date has been set either, but expect Think Harder Like a Man to be in front of cameras sooner rather than later. Hit the jump to watch the trailer for the first film and to check out the press release. · Screen Gems is moving forward with a sequel to the box office success THINK LIKE A MAN based on the #1 New York Times Best Seller written by Steve Harvey, “Act Like a Lady, Think Like a Man” which to date has grossed over $91 million at the domestic box office. The sequel will be written by Keith Merryman & David A. Newman who penned the screenplay for the first film currently in theatres. 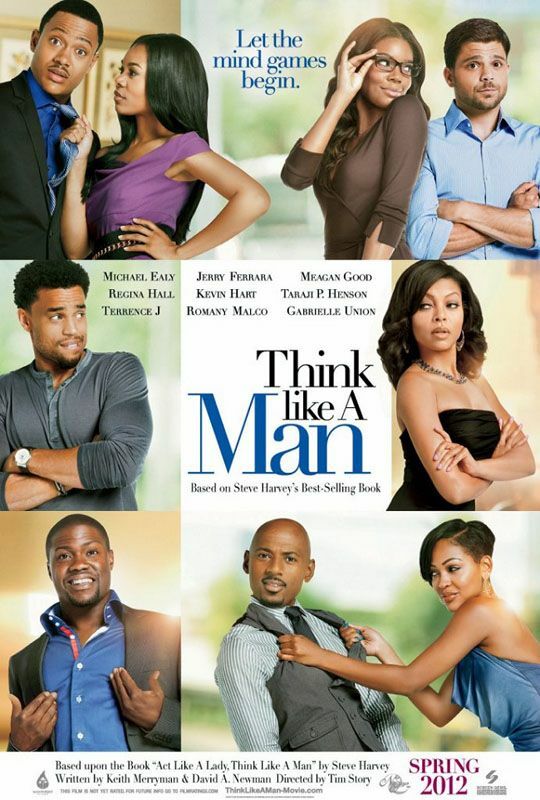 THINK LIKE A MAN was released on April 20, 2012 and was the top ranked film of the weekend with a domestic gross of $33.6 million. · Will Packer will produce via his Rainforest Films banner. Harvey will serve as executive producer on the project alongside Rushion McDonald and Rob Hardy. · In addition to writing the screenplay of THINK LIKE A MAN, Merryman & Newman wrote FRIENDS WITH BENEFITS starring Justin Timberlake and Mila Kunis. · Merryman and Newman are repped by APA, Circle of Confusion and Stone, Meyer, Genow & Binder.